Summit Racing Equipment Atlanta Motorama isn't just a great place to see cool cars. For many, like the AllGen Camaros car club, it's a place to come to together. Since 2009 the club has brought together folks who love the iconic Chevrolet muscle car. "The main thing is the love of the Camaro," club member Rod Harris said. "We're a lot of like-minded people." That shared appreciation of the Camaro isn't the only thing that the members like; the club also features a more relaxed approach than other car clubs. 1:03 "Usually there are no meetings. 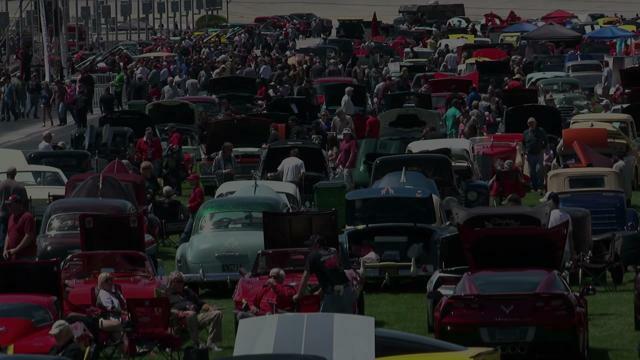 Most car clubs would have their monthly meeting, but it's kind of hard to get everyone together with their work schedules," club founder Dean Phillips said. "So it's a lot more casual. There's no pressure to have to be somewhere, it's just a very casual, laid-back approach for us." Instead of getting together for regular meetings, the All Gen Camaros meet up at events like Motorama, a favorite among all of the club's members. "Motorama is one of the best events that we go to," said Harris. "It's just a big family get-together for us," added Phillips. That big family get-together is something the club looks forward to each and every year when Motorama rolls around. "Here you've got a ton of vendors, the swap meet, autocross — there's just more stuff to do and it's all right here," said Harris. The AllGen Camaros, and thousands of other motoring enthusiasts, will get their chance to come together and share the fun at Summit Racing Atlanta Motorama when it returns on April 27-28, 2019.